The very name Champagne is synonymous with celebration; it is the wine of kings and the king of wines. 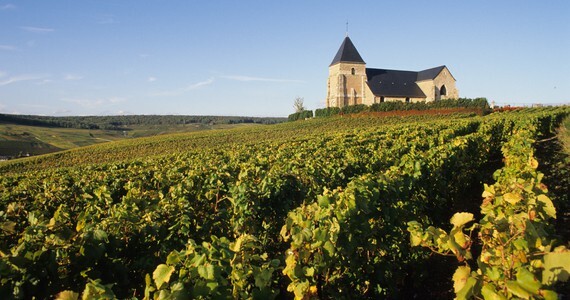 Champagne-Ardenne is a very special place for the connoisseur of fine wines. The British love affair with Champagne continues and as ever, this delightful region remains our most popular destination. So what makes Champagne so popular? In part, it is because the region is so easy to get to. 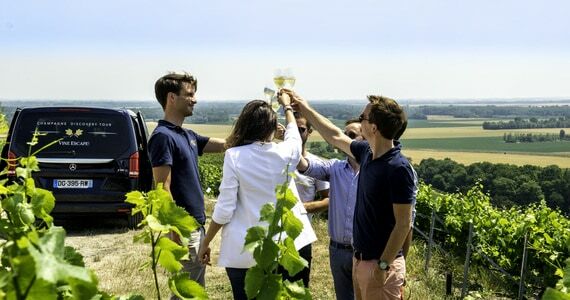 It is situated less than 2½ hour’s drive from Calais making it the UK’s closest premium wine region. It is also now accessible from central Paris in just 45 minutes on the new high speed rail line linking Paris with eastern France. Charles de Gaulle airport is even closer with a journey time to Champagne of 30 minutes on this line. Other reasons include the picturesque hillsides and valleys covered in vines and forests and the sense of history associated with the region, which abounds in lakes, forests and pretty floral villages. Underneath the chalk and limestone, hundreds of miles of rock have been excavated to provide underground galleries for the housing and maturing of the wine. Find out all about the different Champagne appellations here. Reims is really the centre of the Champagne region, albeit not the geographical centre. As far as French history is concerned, Reims has played a very important part. 25 Kings of France were crowned in Reims, in the Cathedral. The Cathedral of Notre-Dame in Reims is often said to be the finest gothic cathedral in western Europe. 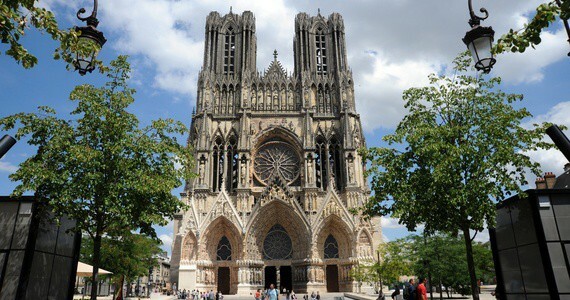 It is also one of three UNESCO sites of World Heritage in Reims. The others being the Tau Palace (where the celebrations took place after the royal coronations) and the Basilica of St Remi (St Remi was the patron saint of Reims for 15 years, he became Bishop of Reims when he was just 22 years old, and was responsible for King Remi converting to Christianity). Click here for more information about Reims. 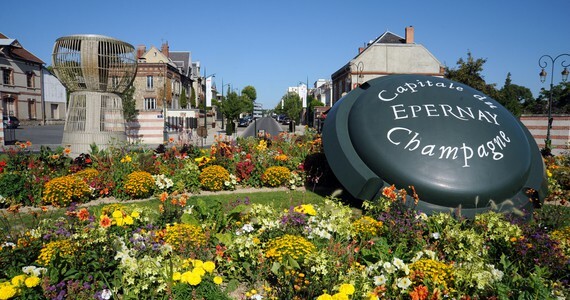 Epernay was once the very heart of the Champagne region. If you look at the history of Champagne (the wine as opposed to the region), Epernay was really where it all began in France. Look into the History of Champagne and you will come across the name Dom Perignon again and again. He was based in a little village just outside Epernay (Hautvillers). Wander through the centre of Epernay and you will see some of the finest Champagne Houses around – Moet et Chandon which is the largest of all Champagne Houses, with 30 million bottles of Champagne maturing in its cellars. Then there is Perrier Jouet, as well as Pol Roger (Winston Churchill’s favourite Champagne). See more information about Epernay here.